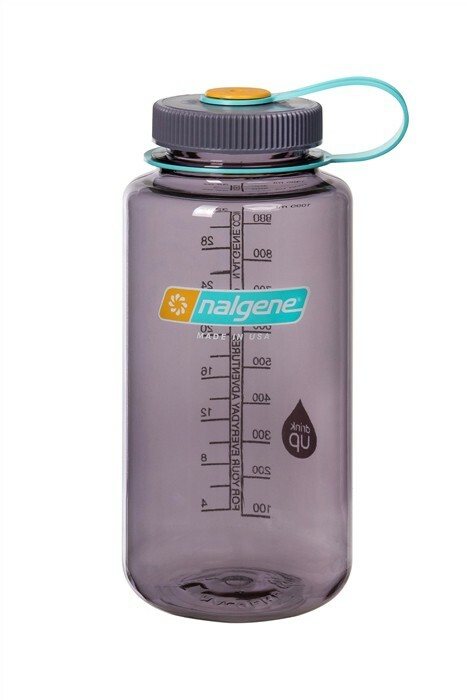 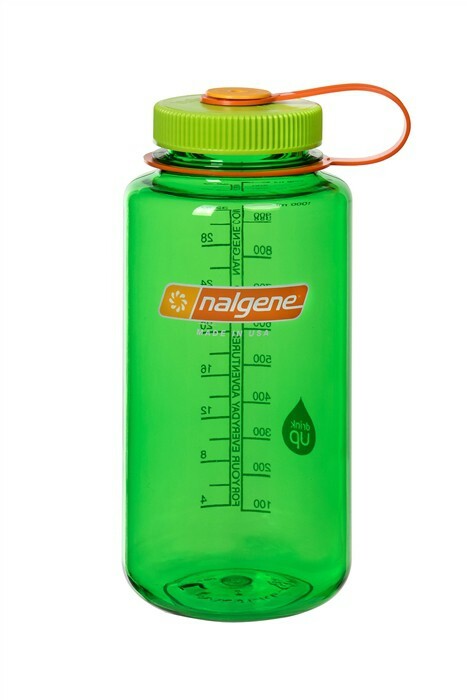 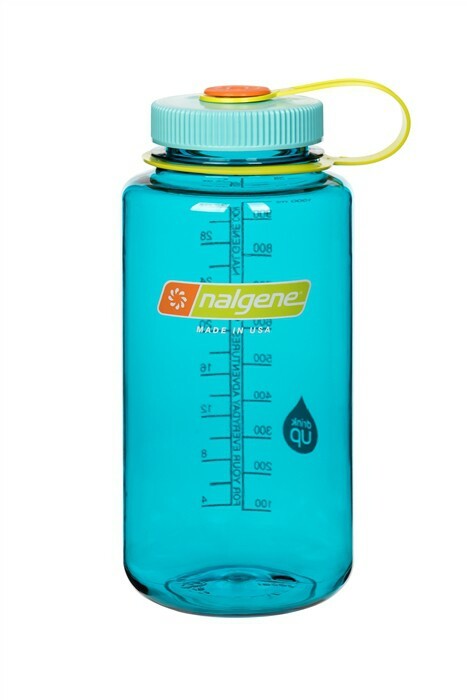 The Nalgene bottle has a wide opening for easy filling and cleaning. The Nalgene is made of a heavy duty plastic. 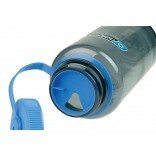 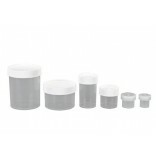 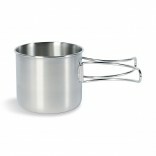 The cap is easy to open and clings easily to backpacks. 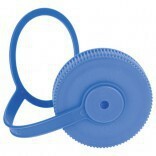 A strap holds the cap in order not to lose it.